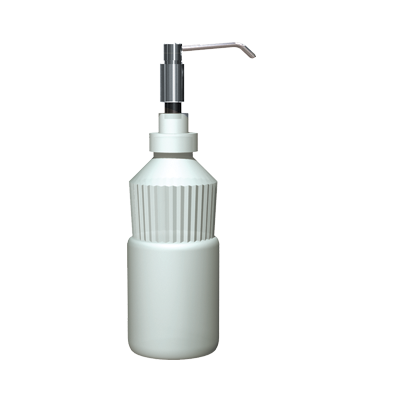 Dispenser plunger cap, stem and body, spout, escutcheon and base sleeve fabricated of stainless steel. Soap container is translucent, shatter-resistant HDPE and is filled by removing the tank from under the vanity. ADA compliant. Capacity: 34 oz. (1.0 L) foam soap.